[Botanical Source]Myrica rubra (Lour.) Sieb. et Zucc. [Remark] In stock, customized for large scale. Myricetin is a member of the flavonoid class of polyphenolic compounds, with antioxidant properties. 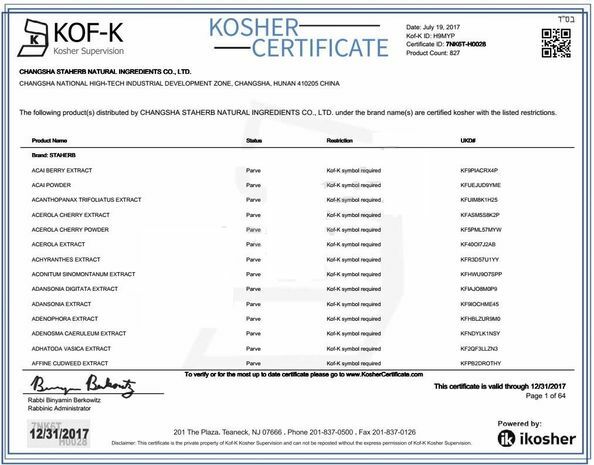 Myricetin is structurally similar to fisetin, luteolin, and quercetin and is reported to have many of the same functions as these other members of the flavonol class of flavonoids. 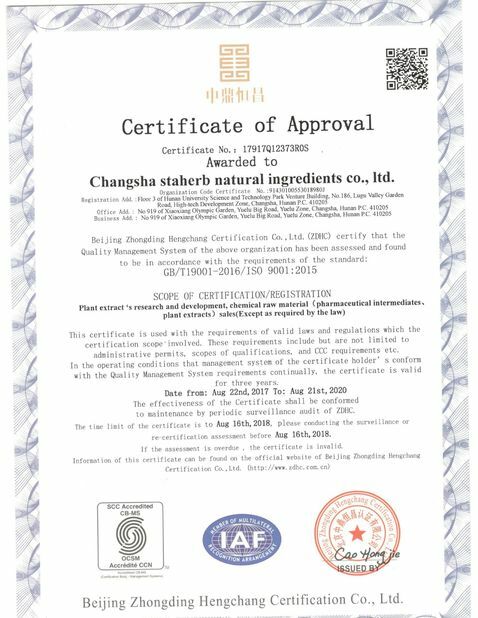 1) Clearing the free radical in body and antioxidation: Myrica rubra extract Myricetin can effectively level down the lipid peroxidation. It can prevent the oxidative damage of antioxidase in body caused by the free radical. Then it can improve the oxidation resistance of the human body. 2) Antibiotic Action: Myrica rubra extract Myricetin has the strong inhibitory action of staphylococcus aureus and Bacillus subtilis. It also has inhibitory action of Aspergillus flavus, Aspergillus niger, penicillium and Alternaria. 3) Protecting the Liver: Myrica rubra extract Myricetin has the strong inhibitory action of the rise of ALT and AST in the blood Serum. It can low the total bilirubin in the blood serum. So it has the strong action oflowing the aminotransferase and jaundice. Myrica rubra extract can restrain the liver fibrosis in the rat. 4) Reducing the levels of blood sugar and blood fat: Myricetin can reduce the blood fat levels in the mouse. It can decrease the damage to liver cells caused by the high blood fat levels and improve the antioxidation ability. At the same time, it can low the levels of high blood sugar. 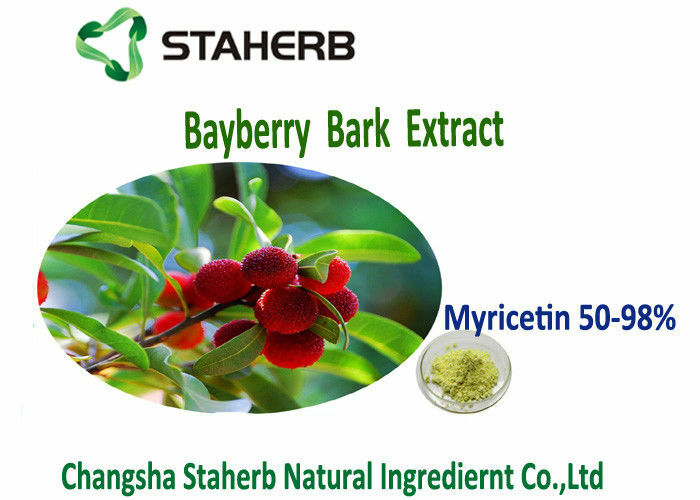 5) Anti-inflammation: Myrica rubra extract Myricetin can effectively restrain the mouse pinna swelling caused by xylene. It can also restrain the writhing response in the mouse caused by acetic acid. 6) Anti-tumor: Myrica rubra extract Myricetin has effective restrain to cell proliferation of some tumor cells.